It has been a long journey from his small village in Jammu & Kashmir's Udhampur district for Rajinder Gandotra. Hailing from a family of traders with modest means, he is now solving large-scale and complex challenges in India's Silicon Valley to ensure the software powering enterprises is running at its optimum level without the possibility of a breakdown. Rajinder's driving force is that he wanted to leave a legacy behind, especially for his children. This personal quest, and the large business problem he constantly encountered while working at Infosys, led him to start up. “The thought of starting a venture came in 2010 while I was with Infosys, where there were constant issues cropping up on performance of various software applications,” Rajinder says. 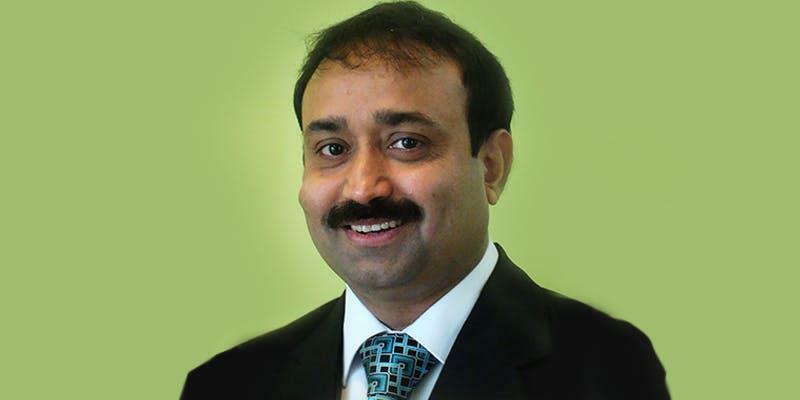 He founded Avekshaa Technologies in 2011 to provide specialised solutions in the area of performance, availability, scalability and security (P-A-S-S)assurance space of enterprise software. Essentially, its business is akin to providing a fitness certificate to software operations in large enterprises after stringent tests. At the same time, Avekshaa has also come out with solutions or recommendations to fix the problems it unearths. Rajinder, who is 52 years old now, started his entrepreneurial journey at the age of 45. He secured his engineering degree from AMIE in Jammu, and worked with companies such as Microland and Infosys. A key member in the consulting and Finacle business of Infosys, he also built a software performance management practice at the IT major. At Infosys, he believed software performance management could become a big business opportunity as there were very few players, and not much attention was being paid to it. According to estimates, billions of dollars are lost every year by enterprises due to software application performance issues. “The market problem size was big enough and it was only going to get compounded with the entry of cloud, mobile and virtual world,” Rajinder says. For Rajinder, the business premise of Avekshaa was built on two pillars: to reduce the cost of software due to certain inefficiencies built into them, and to bring down the high cost of human resources. He started holding discussions with CIOs of large banks, and the feedback that he received was that it was a big problem to tackle. This further encouraged him to start Avekshaa. So far, Avekshaa has engaged with clients such as the National Stock Exchange (NSE), Reliance Jio, Computer Age Management Services (CAMS), and ICICI Bank to name a few. In some cases, clients of Avekshaa waited for them to test their software and provide the recommendations. Over the years, Avekshaa has built solutions, done troubleshooting and also filed for patents. “Our approach to the market has always been to be neutral on three counts: vendor, hardware and software,” Rajinder explains, adding that his company is size-agnostic and engages with companies with a user base of 10,000 or 10 lakh. Avekshaa does not have direct competition from any startup that provides an end-to-end solution, though a few software testing companies are competitors in a particular segment of its business. Unlike the classical route many software technology startups take, which is tapping into the lucrative developed markets like the US, Europe or Australia, Avekshaa has consciously focused on the India market. “India is a place that has huge complexity. If you can deliver here than you can deliver anywhere else,” Rajinder says. He, however, notes that it was a hard route as there was a lack of awareness in the Indian market, which required a lot of educating, and the profit margins are low since people quibble to pay for a premium service. “We have learnt a lot of things but now our business model is proven,” Rajinder says. He feels that the market is going to grow exponentially and Avekshaa’s path is to go global. It has forayed into Australia, and there are plans to enter markets such as the US and Europe. Avekshaa, which has received a funding of around $1 million from Kitven and Exfinity, is targeting to raise $6 million for its international foray. “The real scale comes when we go into the international market,” Rajinder says. Though he did not divulge the revenue numbers, Rajinder claims that they are profitable and cash flow positive. “We have created around 70-75 well-paying jobs, where the average salary is around Rs 8-10 lakh,” he says, adding that the focus has always been to create a vibrant company that has the right mix of experienced professionals and vibrant young techies. Rajinder says the journey has been fantastic and rewarding. He has received numerous accolades from different platforms. “The things that I have achieved would not be possible if I were still working at a corporate,” Rajinder says, adding that he is now working towards making Avekshaa a global enterprise with top-end technology solutions.